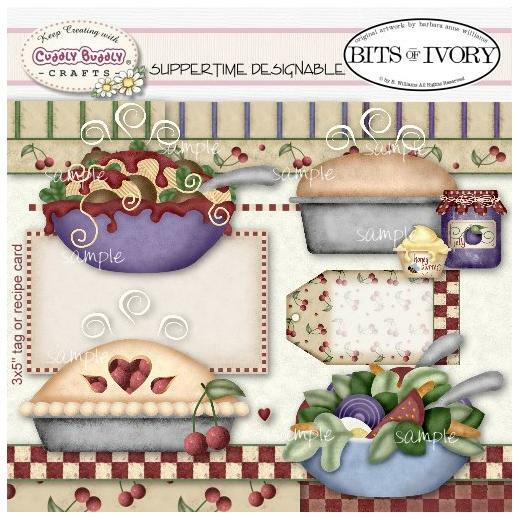 Suppertime by Barbara Anne Williams is inspired by family dinners and favorite recipes. Courses include spaghetti, salad, bread with butter and jam, and cherry pie for dessert. 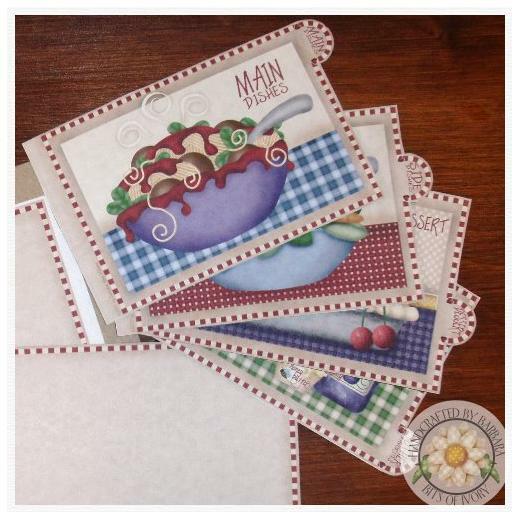 You'll also find a checkered divider bar, 3" x 5" blank recipe card or journaling box and cherry tag. Two borders and five 8" x 8" backgrounds complete this set making it perfect for your candy wrapping, scrapbooking and paper crafting projects.